Good service and the team is very professional. Fantastic service, staff extremely helpful, will be visiting again. Outstanding service, van was perfect. Have used Walsall branch for work needs and now personal requirement. No issues any time, will use again. I'd never hired (or even driven) a van before but the people at Senior made it really easy. Great van (Ford Transit) at a very reasonable price. Would recommend. Never had a bad experience with Senior. They're always friendly and the vehicles are excellent. Had a 9 seater vehicle for 9 days to Holland, friendly and helpful staff, service was second to none, price was cheaper than any other hire company in walsall. Second time Ive used Senior car hire and will definitely be back. The hire process is simple and quick, the cost is extremely competitive and the cars are top quality. Staff were happy to provide advice on which vehicles would best meet my specific requirements. They offer excellent service with good quality clean vehicles at good value for money. First class service and vehicle. Quick and easy to hire a van. Excellent customer service. Excellent van, perfect for the job. Very good price. A very satisfied customer. Easy friendly service and great vans. Good value for money. Excellent service and value for money. Van in excellent condition and looked after and staff easy and pleasant to deal with. Great little car and fantastic price.. Extremely friendly staff on front desk.. Hiring process was so easy on line and fast no hassle service when picking the car up. Will always use this company from now on and regret not using them before... 10 out of 10. We needed a van to move furniture. Booking process, which was simple and quick, efficiently completed over phone with very helpful member of staff. Collection and return of van again made easy by staff, everything clearly and concisely explained. Took this element of possible stress away from the busy day. Have been using Senior a long time, always very helpful. Vehicles always clean and full of fuel, will go the extra mile to help. Would recommend to anyone. 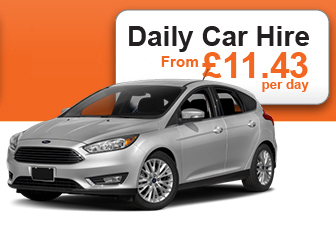 Excellent value for money, top quality vehicle and friendly, efficient service. Nothing was a problem for them, I found myself unexpectedly having to extend the hire period and with one simple call my mind was put at rest. Very professional, would definitely recommend. Excellent service, helpful staff and good value for money. Car was clean and the whole process was smooth. 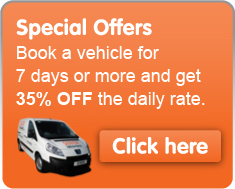 Definitely the best place to hire a van in Walsall and their car hire is great too! Really friendly and helpful people running the place. I have used them several times and would highly recommend them! Great friendly service, good clean reliable vehicles...what more could you want. A1 service would definitely use them again. I needed a car at short notice which was available staff efficient professional and very helpful. Would recommend and use again. Excellent vehicles at very competitive prices. Very impressed with the service we received & speedy turnaround. Thanks for your help. Use senior alot cant fault them hired a luton very well maintained. Excellent condition vehicles, excellent customer services and competitive prices. Service is always 100% and has been for over 13 years since we first used Senior Vehicle. Good service and clean car - have been a regular customer with SVR. Proffesionally handled when booking the van. Selection of vans available good (competitors didn't have same van available), Van was clean, comfortable and economical. Overall, would recommend and will use again. Polite, helpful and efficient. Vehicles are easy to book and full confirmation sent quickly by email, as is copy invoice. Van was ideal for the removal job I hired it for. Straight forward booking, friendly helpful staff. Vehicle in good clean condition. Quick and easy to book. Professional at reception and vehicle given with minimum of fuss. Communication was great throughout. Would definitely recommend and use again in future! Sympathetic support and outstanding flexibility when I encountered difficulties with my I. D. Requirements. My holiday was made possible by your attention to the problem. Thank you. Been using this company for over a year now and they're always helpful. Vans are immaculate every time! Offer decent contract terms too.... service how it should be. Keep up the good work. Concerning the service, the staff will talk, and if needs be, show you the different size of vehicles that are available and give advice in choosing which van would be the best for your job. The booking is straight forward and quick. The vans themselves are very clean and well maintained; you have confidence in the vehicle. Finally, the price is extremely competitive. When I need a rental van I will always choose Senior Van Rental. Strongly recommend. No fuss and efficient service - paid the deposit back into the account the same day. Would use them again. Helped us out of a real tight spot on moving day (let down by another provider). Vans provided were brand new, immaculate inside and out, great price too compared with other hire companies. Collection and drop off couldn't have been easier. Lovely, friendly staff. Very convenient location, where I was able to park my car while I used the hire vehicle (van). Prompt and efficient service. Clean, relatively new vehicle which performed without any issues. Excellent prompt service and very easy to deal with. Easy to book, collect and return. Nice people to deal with. Perfect; spotless nearly new vehicle, efficient service and a reasonable price. Really easy rental process, minimum of fuss. Car was immaculate and excellent on fuel. Highly recommend and will use again! Excellent customer care and very efficient. We have on previous occasions recommended you. Efficient and friendly staff. Clean vehicle with full tank, reasonably priced. No issues during my day's hire. Would use Senior again and would recommend to friends and family. Recently rented a van from Senior Vehicle Rentals this is the third time we have used this company in the last couple of years I have always found there service and there vehicles brilliant would highly recommend them. "First time hiring a van here. Prices were best in the area, they also had a special offer on for the weekend which I took advantage of. I also had to change the amount of days I needed and they were more than happy to help. Very friendly staff and very quick sorting the vehicle on arrival and departure. Will definitely use again." "I have used Senior Walsall on two occasions, both times the vehicles and service was excellent. In addition I have also recommended them to friends who also had excellent serviced and vehicles." Thank you so much will recommend you for excellent service, fantastic vans, you will be the only place we would hire cars from, once again thank you !! I do not rent vehicles regularly, but on occasion will need a van when my car will not suffice. SVR is a local company to me and so convenient to collect/drop off a vehicle. The service is professional, efficient and friendly. The vehicle I hired (LWB van) was clean and in great condition, and I considered it excellent value for money. We at What Lottie Loves Ltd are really happy to provide a review of Senior Vehicle Rentals. We checked for price and they were the most competitive ! that then makes you wonder about the vehicles? absolutely fine really pleased new, modern, clean! then you worry about the service, well the whole team were great, as long as you have your paperwork in order works like a dream. We will be using Senior Vehicle Rentals again! I was a recent first time hirer at senior due to my own van breaking down. I called late in the day to enquire. Service was very friendly, I called 8am the next morning to complete the form filling, all very straight forward, fast and efficient by the very pleasant staff on duty. My van was spotlessly clean, modern and fuelled up ready to work. The handover was quick and efficient, within fifteen minutes I was on my way. Booked online and very good. Staff extremely helpful. I needed a hire vehicle to take family on holiday for a week, rather than my own car due to the need to accommodate a wheelchair. I got 5 quotes and Senior Vehicle Rental were the best value by a considerable margin for a quality vehicle. Having booked the car and paid my deposit I arrived to collect on the day and to my surprise I was given an "upgrade" at no additional cost, to a large 4x4. Brilliant and only a year or less old. It drove beautifully and suited my requirements better than I could have expected. The security deposit was also quickly returned (unlike some firms who tend to "hang on" to your money for a while!). Thank you SVR, next time I need a rental I know where to come, even though I don't expect an upgrade! Last minute hire as needed urgently for business delivery. Very friendly and helpful staff. Will definitely be using again to support our fellow local independent business. Excellent service from booking to collection to return ...excellent vehicles in excellent condition ! I would not use any other company in the future ! Have used Senior Vehicle Rentals twice and it has been an excellent experience on both occasions. The vehicles are exceptionally clean and well maintained. The location at Sutton Coldfield is convenient with plenty of room for parking etc. Staff are pleasant. Very good service, absolutely hassle free, really friendly helpful staff. I would definitely recommend. The vehicle I had was exactly what I needed, for size and everything. The customer service was very good, will use them again. Having extensively searched the local rental market for a van on last minute SVR was by far the cheapest around for what I needed, the collection was very smooth and the van was great. During the rental period I was caught in traffic and would not be back till 1 hour after the return time I had booked, I called SVR and they were happy for me to bring back on the Saturday for there start of business. Great team, great vans and cheap. Great service and at great prices. Would without a doubt use again! Excellent, friendly customer service. Good, clean and reliable vehicles. I use Senior Vehicle Rental every year and have always had a smooth, hassle-free experience. Brilliant service lovely staff, vehicle ready when we were told it would be. Hired from Senior Vehicles twice. Transactions have been smooth and fleet is very tidy. . Overall a very good service and I would recommend them. I needed a van at short notice which Senior were able to supply. The van supplied was modern, clean and tidy and easily booked out and back in again. I would definitely recommend. Great service, friendly staff, spotless vehicles & good value for money Will use this company again and will advise other to. I was a first time hirer, felt at ease with the process of booking etc. Van was well presented, brought to forecourt with no waiting around, highly recommended, thank you. First class service, van clean & tidy & pleasure to drive. Excellent van and value, nice people to deal with.. would highly recommend and would use again. Booked van hire using their website, couldn't be easier! Emailed back to me straight away confirming the booking. All the documentation Senior required I emailed to them before the rental started, and on the day I just turned up with my photo ID drivers license. Dropping of the van couldn't have been any easier to! I would definitely use them again. I needed a van for the weekend. It was Friday afternoon & I wasn't having much luck. 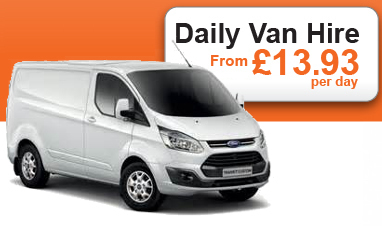 Senior not only sourced a van but also at a great daily rate. In addition I then needed to keep the vehicle for longer than specified... Not a problem :) Great & friendly customer service! Thank you. I had taken the time to visit the Senior office a couple of days before the hire day to sort out the paperwork, well worth the time. The vehicle was super clean, and didn't miss a beat during the 500 mile three day hire. Hired van was clean and tidy and ready for use. The staff were very helpfully. Would use again. Excellent customer service it was made easy for me to hire,collect and return the vehicle, i would have no hesitation in recommending SVR for any vehicle hire. The booking procedure was very clearly explained and choice of vehicles were available to see. The vehicle was clean and readily available on the day and the company provided a smooth service from start to finish. On arrival I had misplaced one of the id documents required for the hire of the van and had to get a family member to email me one, all through this the staff were patient and reassuring. The member of staff went through the handover of the van and explained all that was expected on return, making it clear for me. I hadn't hired a van before but Senior made the whole process very easy, I would certainly use them again. have used this company numerous times over the past few years without any problems & I will continue to use them in the future. The van was spotless inside and out, and the fuel tank full when I collected it, I hired for one day and exceeded the mileage allowance slightly for which the charges were waived, all in all an excellent service. Staff were very pleasant and professional, good service, vehicle was clean and tidy. Value for money, would highly recommend. Excellent Service, Competitive rates and perfect vehicle. At extremely short noticed I was provided with the perfect van and size. The van was immaculate and perfect for the job. Quick and easy service with friendly staff. Thank you very much , will be using You next time . Very good Would defiantly use again. Very pleased with their customer service . Every thing was explained to me , no hidden costs , and very prompt deposit return. Would definitely recommend and won't hesitate to use them again , soon . I made the booking over the telephone only a few hours before I required the car.It was made very clear to me what documentation I had to provide. When I arrived to pick up the vehicle it was ready for me. The processing of the paperwork did not take very long and the car that was provided was just what I required. The staff were very helpful and friendly and I would certainly go back, should I need to hire a car again. Efficient service, clean van inside which is important when moving house. Very professional and helpful. Good range of vehicles all of which are modern. Would recommend very highly. Excellent value for money. Excellent service provided. Staff very helpful and friendly. Excellent service, quick turnaround on collection and return, new car and extremely convenient location, got me out of a tight spot at short notice after an MOT failure, can't be faulted. Thanks SVR. I chose Senior for a second time ! Clean easy to drive, Great value, local and professional, second to none. I am on my 4th time hiring from them and each time the service just gets better. Lovely new vehicle every time, friendly staff and a real pleasure each time I use them. Thanks for a great service and nice clean new vans. Very professional service. Would definitely use again. Always great service from Senior with a good range of up to date vans which are clean and drive well. Vehicle is always ready on time, straightforward website and on-site check-in and no niggles or quibbles on return. Very fair rates. And they let me leave my motorcycle in their yard during the hire. A pleasure to do business with. It's the second time in as many weeks that I have used Senior Vehicle Rental for van rental and would not hesitate in recommending them. Excellent and friendly service at very competitive rates. The vehicles are clean and in excellent condition. I won't look anywhere else and will use again when I have a requirement. My branch of Senior is quite close so I have no problem getting a lift to collect or return the vehicle. The vehicles I have rented have always been virtually brand new ( medium high roof transit vans) in excellent condition and cleanliness. The staff have always been polite cheerful and helpful. I would recommend Senior for commercial vehicle rental. I have been using Senior for the last couple of years, usually 4mtr vans and box vans. I have always found the vehicles to be clean and in very good condition. The staff are always very helpful and courteous. I can highly recommend Senior, keep up the excellent work. Easy to hire, clear and simple system, efficient, professional and pleasant staff. The van was nearly new and spotless. Excellent value for money. I've used them before and will do so again. Straight forward, efficient and professional. Will definitely be using ur service again! Hired a long wheel based van to move home, excellent brand new van, clean and perfect for the move. Excellent price, excellent service.. Would 100% use Senior again :-). From booking, to collecting and finally dropping the van back off the whole experience was fantastic. Brilliant customer service and the splitter van we rented was modern and ran beautifully. I'll be using again for sure. I came to collect this vehicle from Northampton due to family location. Brilliant customer services, friendly staff- will recommend. Used Senior Vehicle Rental twice now in quick succession. Both times the vehicles have been immaculate and they have been very very helpful with the pick up and drop off times. If you want to go to a multi national hire firm then carry on but you'll regret it !!! I would just like to say it was a pleasure to have the rental of ur mini bus, it got us from a to b and made the journey enjoyable and we felt that we would definitely be renting from u again. We would recommend other people to hire from you. This is very close to where we live so it was handy to use, never before hired from them and we had to hire a car for the weekend. Found them very helpful and professional. The car was clean and well presented on time waiting for us. The car developed a slight hesitant on acceleration but not enough to complain about, mentioned this on return and they said they would investigate it before it went out again, reassuring. We will be back soon to use this company again. A* company, quick and efficient service, friendly and polite staff, fantastic car- reliable, comfortable and lovely to drive. Well priced and great service would use them again and would recommend. I have moved house several times over the past 10 years and have hired vans to do most of them. This company is by far the best value for money. They made the whole experience of moving a much more pleasant one. The process from start to finish was explained in clear terms and I knew exactly what to expect. The deposit was returned promptly and I received the invoice, as promised within a couple of days of returning the vehicle. I will definitely be using them again in the not too distant future. Thank-you so much Tina and team. I hired a van on Friday and collected it prompt on the Saturday morning the staff were extremely good, the van was checked inside and out, the van was very comfortable for me as a driver with 6 gears, and drove very well. On return of the vehicle again very friendly staff, and gave advice of return of the deposit we received today, very good company and would certainly use them again, their hiring charges are very competitive in the area. Looking for a large vehicle to take all the family away we came across this company. I found them knowledgeable and extremely helpful. We ended up with a Ssangyong Rodius. A very spacious 7 seater with more than enough room for all our luggage to. Fitted with all mod cons it was a delight to drive. The hire was the also the cheapest we have found locally so an added bonus. All in all would definitely recommend this company. Vans are always clean and ready, will use again! Drove past on way home and hired a long wheelbase van at 24 hours notice to pick up garden railway. Forgot needed NI number now for driving licence counterpart but staff happy to wait while I logged onto HMRC website to retrieve it. All dents on van noted as there were several prior to my hire. Drove smoothly 6 speed gearbox. Good size electric wing mirrors with bottom section for kerbs / lane markings. Suspect I was one of first to use tie down points as were quite stiff despite wooden floor showing that well used. Dropped off following morning at 8.00 on way to work. Straight forward painless hire and although choice was based on location cost compared favorably to other prices advertised on websites. Very good service and a good price. Fast efficient service at competitive rates. Will use again. I have used senier for the past two years They are a fantastic company fast with quoting really good price. And very clean veacales The staff are very helpful and friendly they treat you like a friend and not a customer Will keep using them and tell frends to use them A big thank you to all your staff. I don't rent vehicles often, but found Senior to be the best quote in the area with a really good range. The price they quoted included everything so no hidden extras dropped on you. There was no hassle and friendly service. Thanks. I hired a car for a week. Decent price. Car was spotless. Service was excellent, as per usual. Keep up the good work. Senior Vehilcle Rental have been a joy to use and a breeze to book with, whether it be online or telephone. Over the time we have dealt with all members of staff there, all are always polite and helpful. As my business requires varying logistic solutions their fleet of vans are of the best quality and they have a perfect range to choose from.We consider Senior an integral part to our companies logistic support and with that they come highly recommended. Mr Cooper. Nebulem Manufacturing Ltd.
We used Senior when our local car rental could not provide a 7 seater. Senior not only had a seven seater but it was much better than we had anticipated, and being full of fuel meant our break could start straight away. They were a pleasure to deal with and will be our first call for vehicle rentals if future. I rented a Ford Transit from Senior a couple of weekends ago and was very impressed not only with the van but also with the service provided. I'd recommend them to anyone looking for a value for money hire. Transits are fantastic vans and the one I used swallowed everything we had to move and never missed a beat, It was economical too. Definitely the van to go for. I hired a Luton Van for 2 days, the van was Great, quite new, nice and clean. The staff were polite friendly and helpful, good service, I did not have to bother with refueling their charge for fuel was reasonable. A pleasure to deal with, simple to arrange, good price and excellent vehicles, could not fault them, I would use them again. Pleasure to deal with, competitive rates, excellent weekend deal (effectively 3 days for the price of 2; collect Friday night and drop back before 9am Monday) and good service. Highly recommend. Quality Excellent I’ve used Senior Vehicle Rental last year and last week and on both occasions my experience has been an excellent one. From the moment you walk in to collect your vehicle to the moment you drop the vehicle off you couldn’t ask for any more. I have recommended to others too, who have shared a similar experience. Keep up the good work!